In this video tutorial we will show you how to export After Effects project to the Adobe Premiere CS6. In order to export After Effects project to Premiere CS6, open your saved composition. Set the time indicator at the start of the composition. 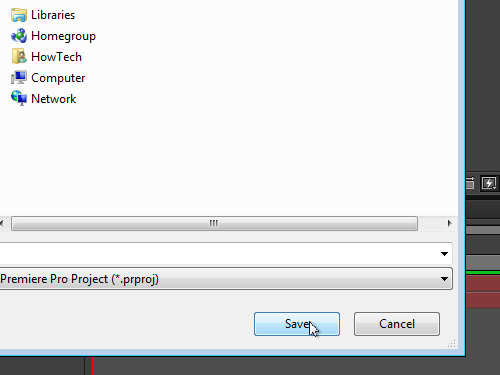 Then, go to the “File” menu, select the “Export” option and click on the “Adobe Premiere Pro Project” in the submenu. In the appeared dialog box, select where to store the file and press “Save”. 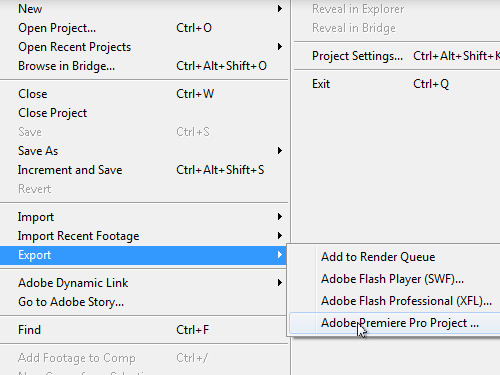 As you can see, After Effects project has been successfully exported and now you can open it in the Adobe Premiere CS6.